STEP ASIDE, we’ve found our new savior. It’s obviously Janelle Monáe, who wore a tux and a dress at the same time and we’re just overwhelmed by her level of slayage. 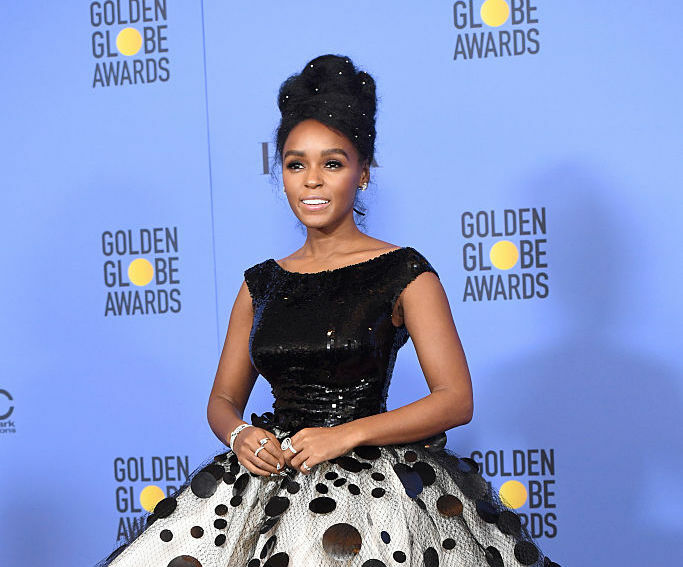 Everybody’s been buzzing about Evan Rachel Wood rocking a tux at the Golden Globes, and not that she didn’t kill it, but Janelle Monáe has been famously wearing suits to ~red carpet~ events for ages, and they’re always simultaneously dapper and totally HER. We love her amazing sense of style, and how easy it is to spot her at any given event. Recently, she stepped up her game even further (if at all possible) and wore a dress SLASH suit. We’re not sure we’ve ever seen this kind of look before and we’re totally in love. Everything about this look is perfect, from head to toe. Her hair is ADORABLE and we love the visible bobby pins. 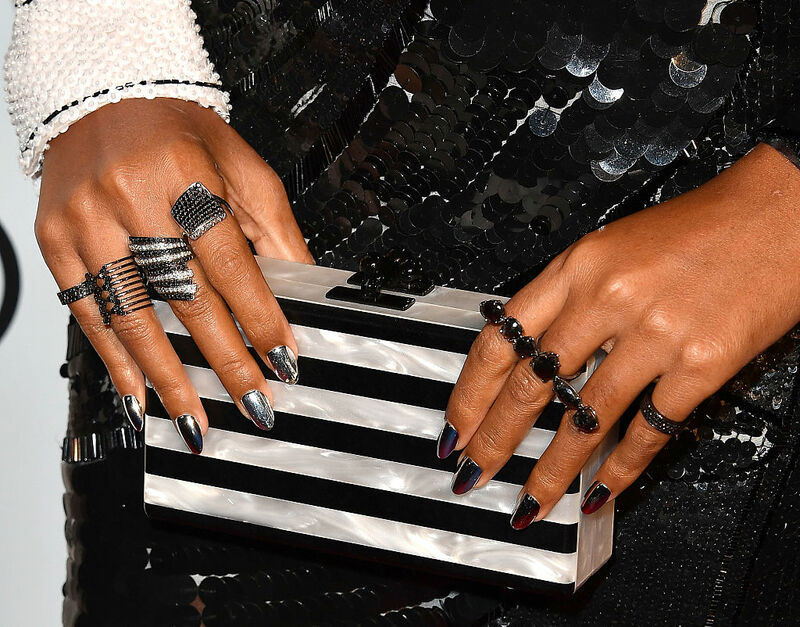 They add really cool visual interest, and play into the edgy-but-cute aesthetic we expect from Janelle. Also, that blue eyeliner. Yessss. All of her accessories were totally on-point, unsurprisingly. 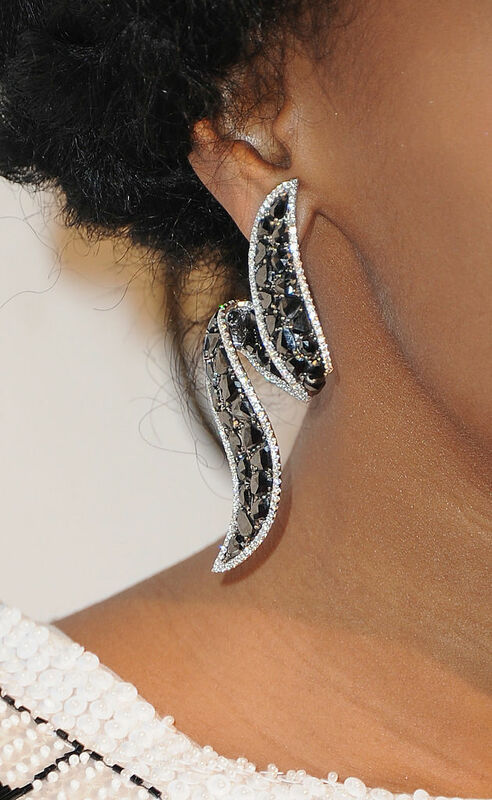 Her earrings were show-stopping, and fit seamlessly into her monochromatic lewk. AND HER RINGS. AND HER CLUTCH. TOO GOOD. Plus, we love the close-ups of the beading on her dress, and the sequins. It’s so intricate, we’re obsessed. Ok, ok, we already mentioned it, but once more for the people in the back: LOOK. AT. HER. RINGS. And more sequins. 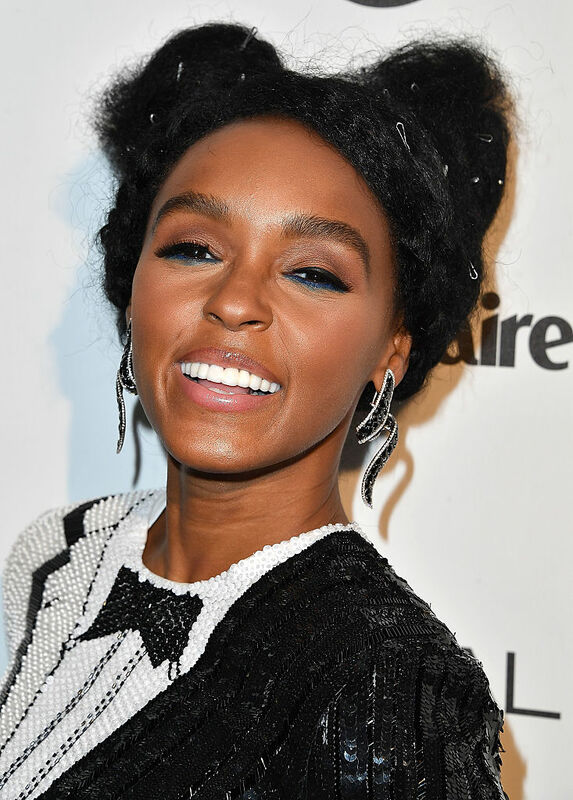 Janelle Monet really ~shines~ in this look. Honestly, she’s too cute to be believed. We have to sit down. Ugh, even her bowtie is cute. THANK YOU FOR BEING YOU, JANELLE.